Available for pre-order, approximate ship date is June 13, 2014. In-depth descriptions for each coin. 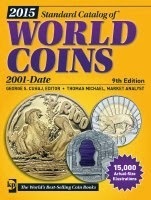 1,200 pages of the most up-to-date information on world coins.